We cannot clearly be aware of what we possess till we have the means of knowing what others possessed before us. We cannot really and honestly rejoice in the advantages of our own time if we know not how to appreciate the advantages of former periods. Neuroscience, as a discipline, did not exist until the late 20th century. It emerged as a consequence of the endeavours of many who conspired to illuminate the structure of the nervous system, the manner of communication within it, its links to reflexes and its relation to more complex behaviour, as well as to perceptual experience. Neuroscience is a neologism of recent years: the term was introduced in the 1960s by the American scholar Francis Otto Schmitt as a convenient term to indicate a multidisciplinary research team investigating brain function and the Society for Neuroscience was founded in 1970. 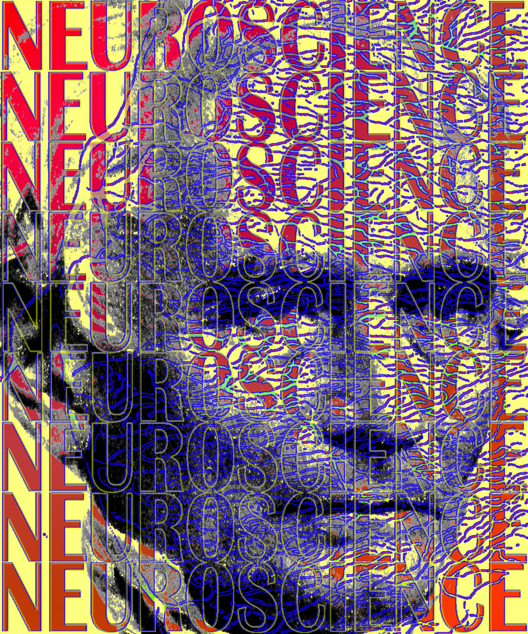 Schmitt’s original team included different researchers ranging from biologists, anatomists, biochemists, physicists, engineers to neurologists, psychiatrists, psychologists, but now the field of investigation covered by the term (often described in the plural form of Neurosciences) includes neurolinguistics, neurophilosophy and even neuroaesthetics and neuroeconomy. Despite the widespread use of the term ‘neuroscience’ it is seldom accorded a definition of any detail. In general, neuroscience thrives on its vague appeal to advances that are being achieved in studies of the nervous system, and as such the origins of neuroscience stretch back to antiquity. Particularly large strides were made in the nineteenth century. Neuroscience emerged from the biological sciences because conceptual building blocks were isolated, and the ways in which they can be arranged were explored. The foundations on which the structure could be securely based were the cell and neuron doctrines on the biological side, and morphology and electrophysiology on the functional side. The morphological doctrines were dependent on the development of microtomes and achromatic microscopes and of appropriate staining methods so that the sections of anatomical specimens could be examined in greater detail. Electrophysiology provided the conceptual modern framework on which the notion of the nervous function was envisioned as depending on an ongoing flux of electrical signals along the nervous pathways at both central and peripheral level. These aspects of the history of neuroscience will be explored by portraying some of those who have advanced understanding of the nervous system and its functions. With such a rich legacy it is difficult to determine a starting point. The one adopted is around 1500, when Leonardo da Vinci married art and science in his studies of the human body. It is similarly difficult to define the geographical regions that should be surveyed. Great strides were made in Eastern medicine, especially in the period that is called the Dark Ages in Europe. However, the starting point chosen, around the turn of the 15th and 16th centuries, also determines the places where advances were made, and that is Europe. Within Europe the sweep of neuroscience followed that of science generally and it is clearly reflected in the nationalities of those portrayed. The impetus came from Italy in the 16th and 17th centuries, and then gradually moved west and north. France was in the ascendency in the 18th century, followed by Germany in the 19th century and afterwards England and America. Throughout, individual genius emerged in other countries, but the movements also reflected the institutionalization of science, both in specialised societies and in universities. Interest in the history of neuroscience can be stimulated visually, and it will be expressed by ‘perceptual portraits’; these represent people in an unconventional style. The portraits themselves are not always easy to discern – the viewer needs to apply the power of perception in order to extract the facial features from the design which carries them. The aim of perceptual portraits is both artistic and historical. They generally consist of at least two elements – the portrait and some appropriate motif. The nature of the latter depends upon the endeavours for which the portrayed person was known. In some cases the motif is drawn specifically to display a phenomenon associated with the individual, in others it is derived from a figure or text in one of their books, or apparatus which they invented. The portraits and motifs have themselves been manipulated in a variety of ways, using graphical, photographical, and computer graphical procedures. The illustrations often require some effort on the part of the viewer to discern the faces embedded in them. It is hoped that such perceptual portraits both attract attention and engage the spectator’s interest to a greater degree than do conventional paintings, prints or photographs. The intention is that the visual intrigue will enhance the viewer’s desire to discover why particular motifs have been adopted, and in turn to learn more about the persons portrayed: it is intended to be an instance of art serving science. In addition to the perceptual portraits of pioneers of European neuroscience, some text about each person is presented. The general aspects of their lives can be found by using any of the many search engines available on the internet and so there is little necessity to repeat these readily available facts. The aspects that are emphasised are those relating to the novelty of their views or the ways in which they extended understanding of the nervous system and its functions. Initially the impetus was to describe the gross anatomy of the body and brain. When the naked eye had delivered all it could see, assistance was found in instruments, like microscopes, which exposed a new world of cells. Themes shifted gradually to relating structure and function, and physiology assumed a position of dominance which has culminated in contemporary neuroscience. Throughout these developments, the sense of science was sight. Accordingly, sight and the senses will play a prominent role in the history that is presented here. Some of the great contributors might not be thought of in the context of neuroscience. For example, astronomy is an observational science and it has had an immense impact on the science of observation – vision. The nature of both light and sight was examined by Claudius Ptolemy (ca. 100-170). In addition to investigating the quantitative relationship between angles of incidence and refraction, he carried out experiments on vision generally and binocular vision in particular. Ptolemy provided a mathematical description of the rotations of the stars and proposed a theory in which the earth was the centre of the universe and all the planets rotated around it in circles. Ptolemy’s harmony of the spheres was disturbed by Nicolaus Copernicus (1473-1543) who proposed that the sun rather than earth was the centre of the universe. That is, although the eye of the observer is located on earth it does not lie at the centre of the world. The eye of Copernicus is based on earth but the sun is at the centre; he was able to see beyond the confines of earth. This shift in the frame of reference applied not only to light but also to life. Science was subsequently seen as superior to circular certainties of scholastic philosophers.